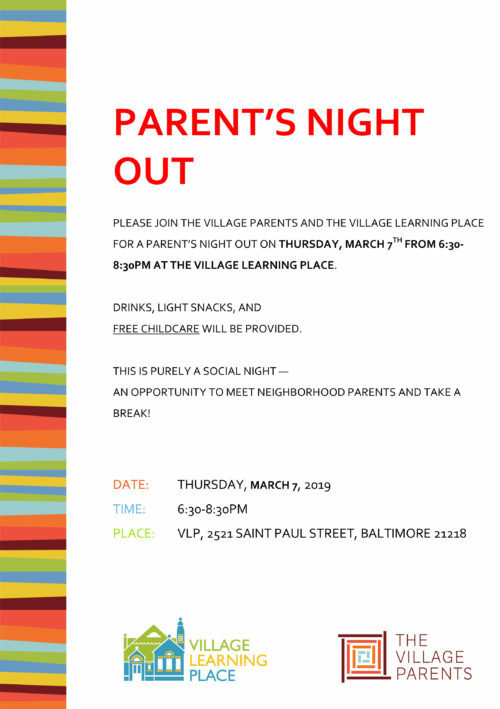 Parent’s Night Out is a monthly social outing for parents in the community. It takes place on the first Thursday of each month and is organized by the Village Learning Place and the Village Parents. Light refreshments, adult beverages, and free childcare provided.